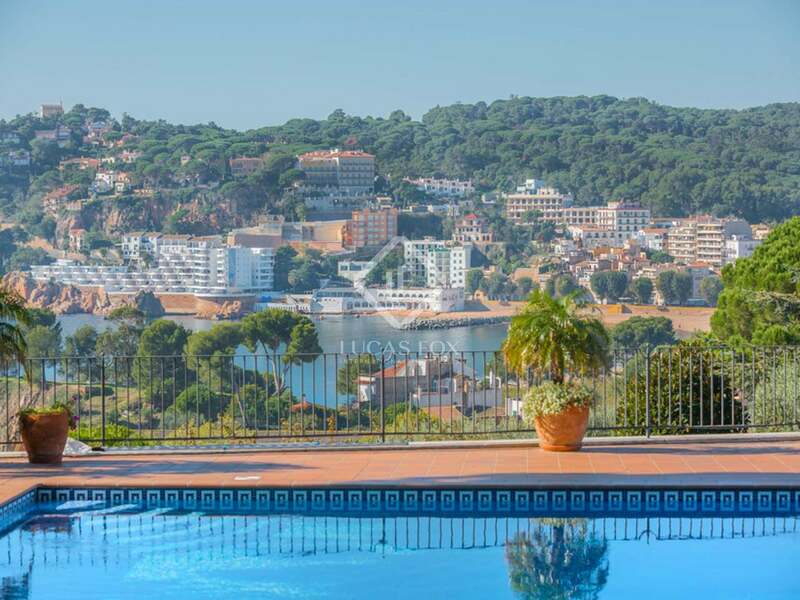 A quintessential holiday areas of the Costa Brava is the town of Sant Feliu De Guixols. 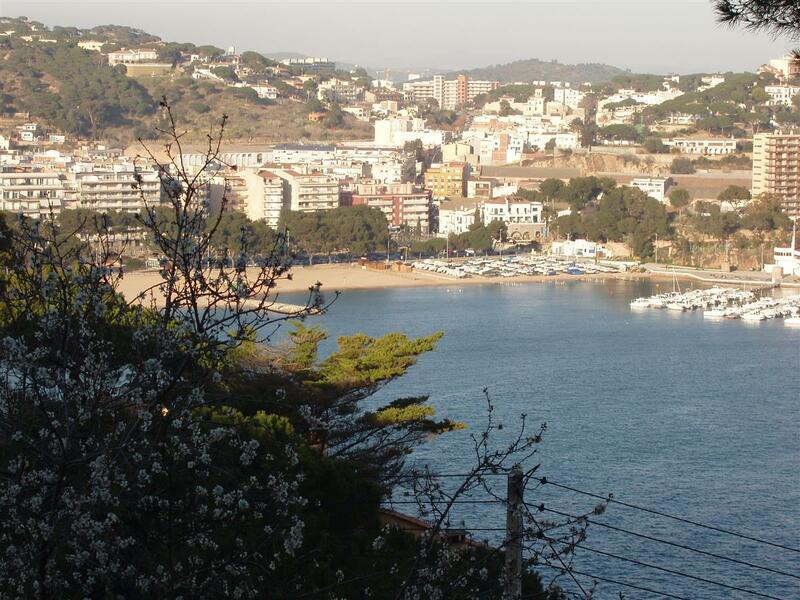 Located in the Baix Empordà, personalities of the high bourgeoisie in Catalonia are regulars at their coasts. It contributed to his notoriety the wonderful tower which the Barons Thyssen they have there for decades and it is promoting the creation of a Museum in the monastery of the Benedictine monks. 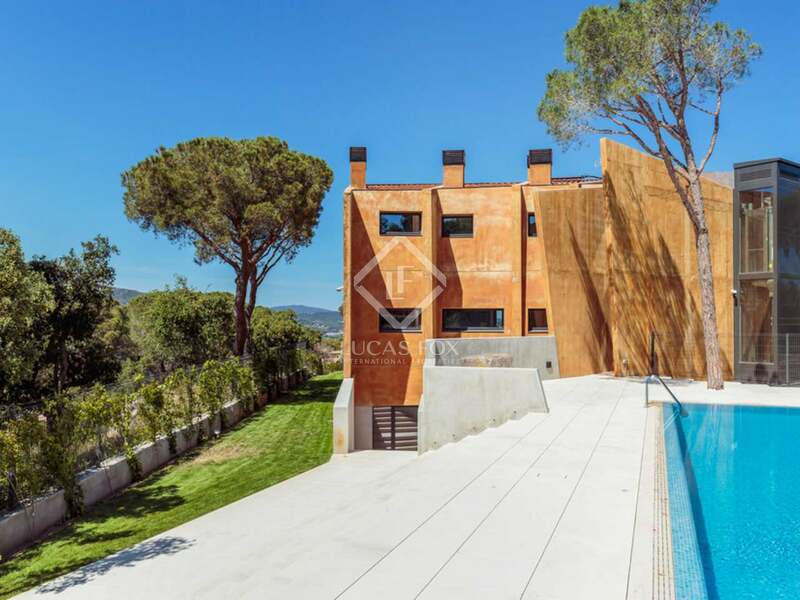 This villa is also a milestone in the avant-garde architecture, Since it represents one of the most important structures that were built in Spain in recent years. Even the building is unique, based on two blocks of three floors in the form triangular connected horizontally and without having any angle straight. 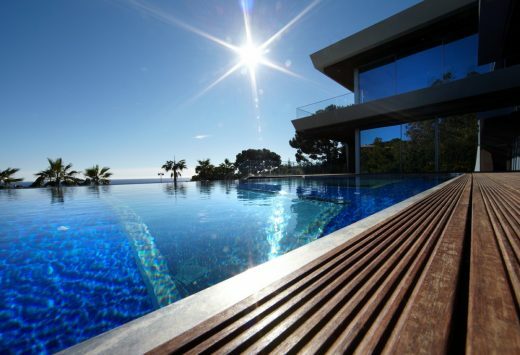 The villa has of six spacious suites, a home cinema, a kitchen Bulthaup, dining room, living room seating approximately 100 m², indoor swimming pool, another infinity pool with waterfalls, a sauna, a Turkish bath, area spa, apartment for security guards, a garage for 6 cars, and even panic room! But above all what has this town are stunning views to the sea. 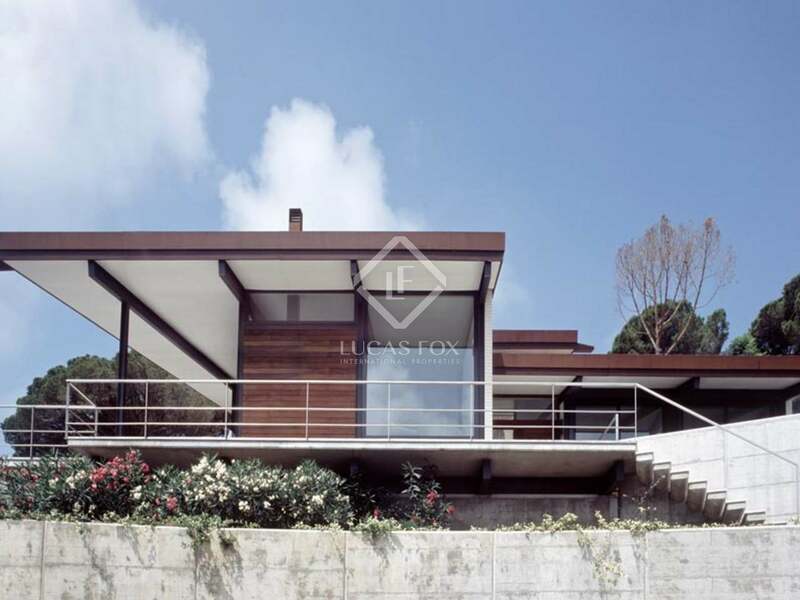 Two walls in two different colors, is integrate amazing shape in the landscape. 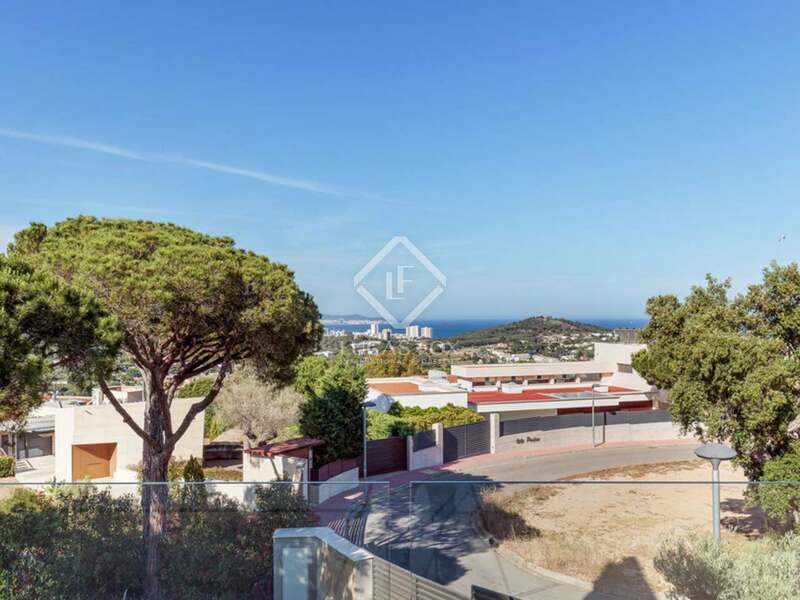 From inside the villa the distribution has been designed in such a way that it allows you to enjoy fantastic views of the sea and the mountains from any area of the House. 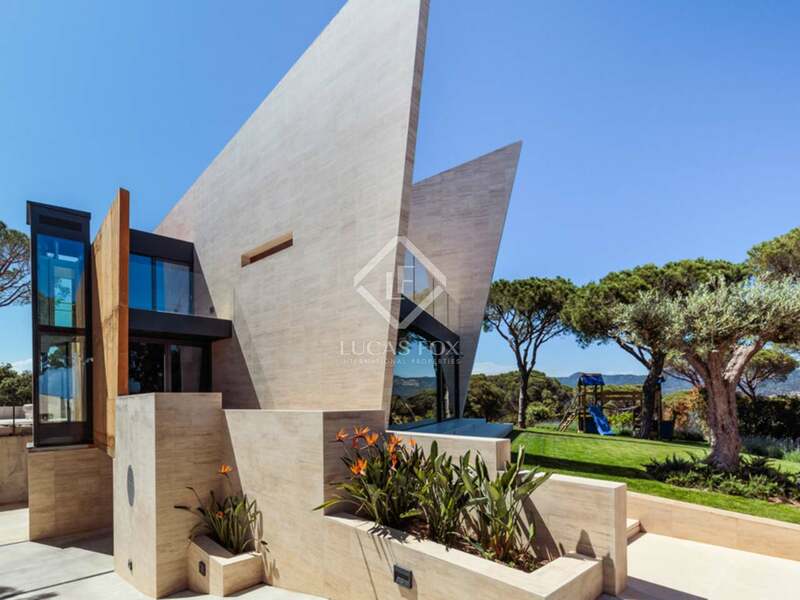 Thanks to the triangular shapes, the structure of the House is light and exquisitely elegant, while the architectural solutions they are amazing. Access to the House is original as part of a large hall with floors granite columns, precious spiders where cars enter and six parking spaces are part of the design. As the focal point of this magnificent Hall it is a cascade of water falling from the maximum height of the building as also the wall of glass from the infinity pool. Once inside the House, the three levels are connected by a glass staircase and a panoramic lift, also glass. All of the rooms have been designed using sophisticated materials and low currents as transparent glass and colours or lacquered wood. Each bathroom is decorated with panels of Florentine Crystal hand crafted from ancient techniques. Hall floors main marble Porter, a variety that are only is located in a site of the seabed. This type of marble was used in the finishing of furniture in the art deco era. With ceilings of 4.5 m, fully air-conditioned spaces, doors and walls of glass Winery combines original design and the most advanced technologies recommended by the winemakers. In the spa area has been preserved the natural rock wall, on which was built the property, which, together with the waterfall, is artistically illuminated on one side of the indoor swimming pool. In addition to the swimming pool, spa area with sauna, Turkish bath and several waterfalls. The soils of the sidewalk cafés of the property, are a special wood that is used in the most exclusive yachts, as well as the solarium (with Jacuzzi and bar). Equipped with the highest level technologies, it is possible to set or adjust all the systems entirely or individually rooms. With a security system of last generation, and one Panic room with its system of survival for all persons who are situated within the village during an important period, one is guaranteed Security total in addition the villa has its own water source and a generator of electricity while advanced solar panels follow the solar movements and help to reduce the costs of light. The garden has been designed by a landscaper who has respected and encouraged native plants and wild fusing them with the incorporation of waterfalls, a mini-River, and exotic plants, without a doubt, the garden is an important part of the property. 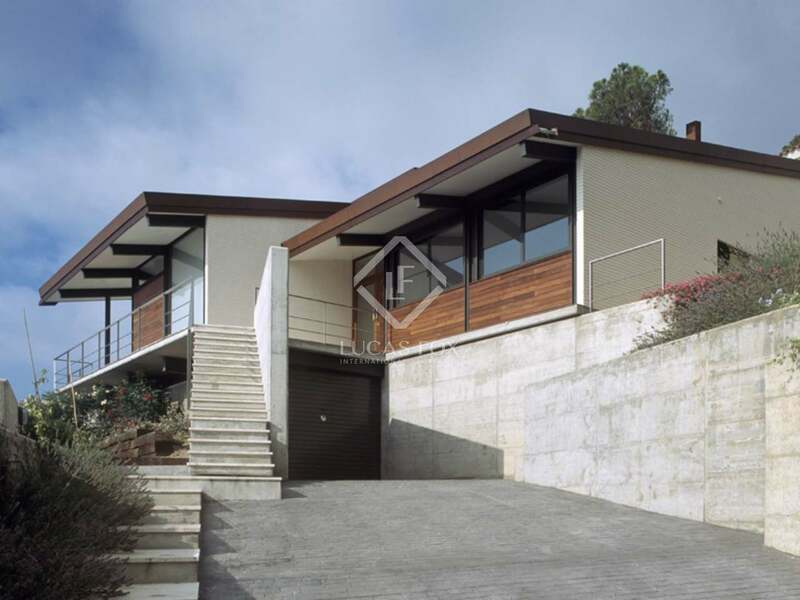 An example of course of integration modern architecture in nature in this Luxury House in Spain.